This has been a busy week in and out of the shop. 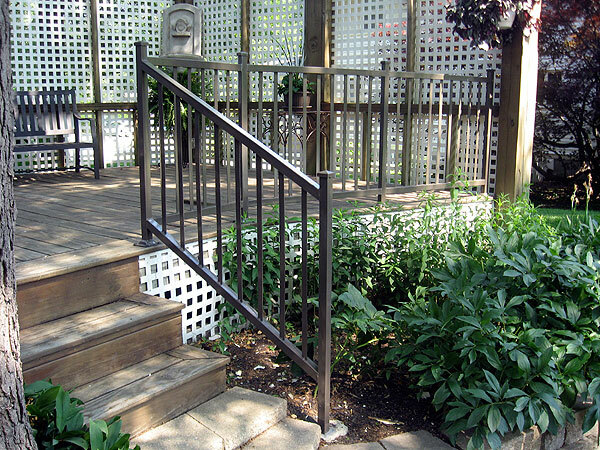 On Wednesday, I installed the stair railings at a private residence. 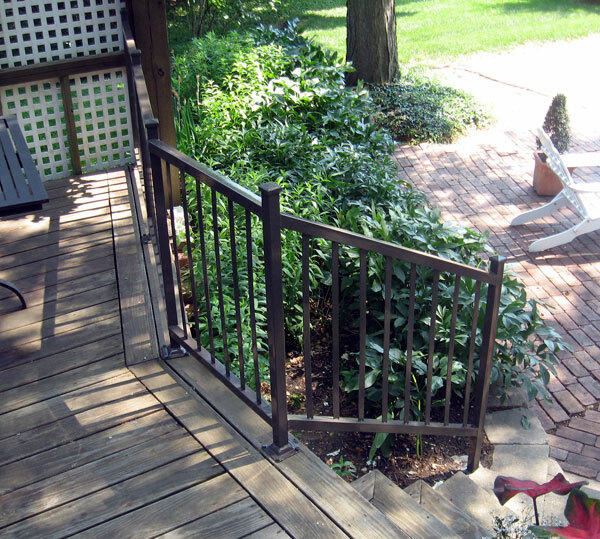 These matched the deck railings that were installed last week. This was a tricky project. Lots of angles. Different angles. The rails are made from 1 1/2 inch square tube. The pickets are 1 inch strips of steel. The client wanted the pickets to match the look of their existing deck furniture. The entire project is coated with a bronze enamel paint. Very tough against the elements. Here are a few shots of the piece. This section of stair rail is steeper than the other. Each ground post is set in concrete.